Pack order and dog fights – It’s a different, greater challenge having an adult pack of dogs i.e. pack consisting of adult males and females then raising a pack where young dogs still prevail (with one or 2 adult dogs). A fully grown up, mature molosser dog (mastiff, large breed dog) is animal of great strength and confidence. Junior molossers, 1 to 3 year old males or females, usually create most tension in the pack. At that age a molosser dog realizes its strength but has confidence issues and wants to affirm its position in the pack – therefore challenges pack order by confronting the pack leader. 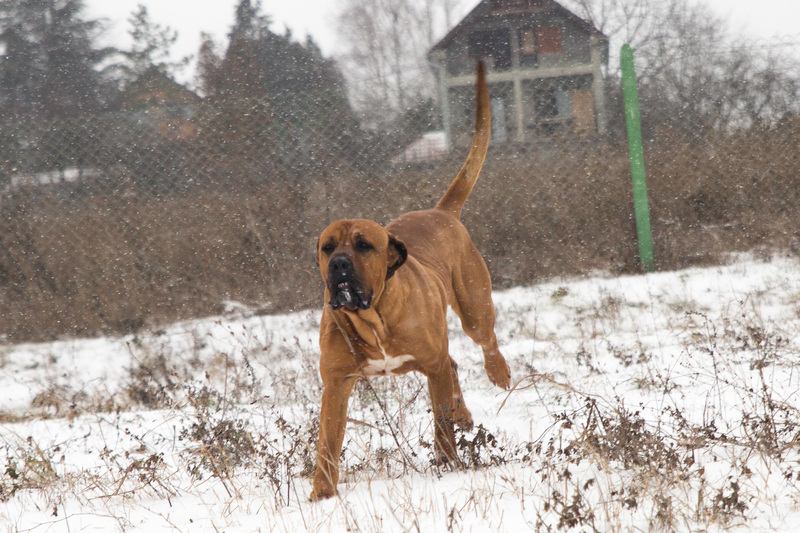 Our Dogo Canario male challenged the eldest Tosa male at the age of 11 months, while our Fila Brasileiro male was 2 ½ year old when he experienced his first fight. You can read pretty often that intelligence determines the age when younger dog will challenge the pack order. This however is not true. There are also male-female confrontations, usually over human attention, toys or food. Those are not malice quarrels but when a molosser dog wants to validate pack position, he or she will use its powerful body and its jaws too. 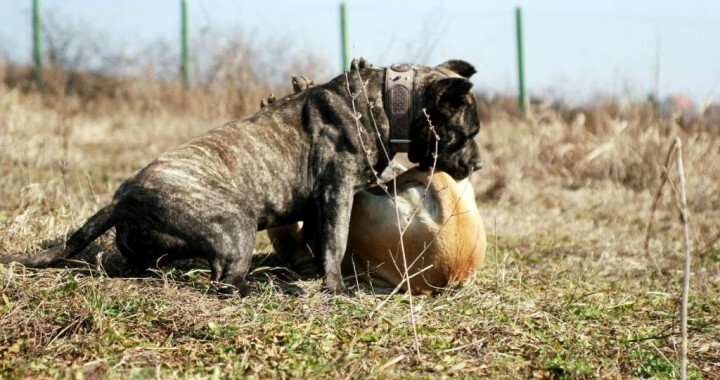 Dogs often bite each other for fun, when playing, but unfortunately, sometimes they will attack the other dog and hurt him seriously. Even then one dog will not bite to kill another dog but overpower him, make him surrender. But since they do not feel pain, due to adrenalin, they will use their strength and energy until one becomes more exhausted i.e. surrenders. It is sad but true that without human intervention they would bite and harm each other until exhaustion. So peace and harmony in an intact pack is possible without human supervision if there are 1 or 2 adult dogs among several younger dogs, because young dogs not realizing their strength yet will respect the leader and the leader won’t induce quarrels either. As the youngsters are maturing human intervention becomes very important. You need to set the boundaries for your dogs; you need to let them know what behavior is acceptable. But people often make mistakes because they believe in an absolute influence over animal instincts. In an adult pack the best decision you can make is to keep males apart but often females too. Dogs have their limits. Besides being infinitely sensitive and devoted, their mind is limited by their instincts and we shouldn’t expect them to act unnaturally. We humans however can use our intelligence i.e. mind to over win our own instinctive behavior without being trained to do so. Next article	Japanese Tosa and other dogs – yes or no?